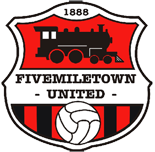 This years’ club AGM was held on 5th June in the Youth Annexe, Fivemiletown. We had a really good turnout of supporters with plenty of discussions. and elected onto the committee: Arran Gowdy, Scott Long, Chris McDowell, Roderick Farrell, Ryan Mallaghan, Damian Sheenan, Pat Callaghan, Richie Smyton and Dylan Noble.